Field Service Management (FSM) suites are in high demand now, as enterprises realize its utility. Some of the obvious benefits are managing the field operations such as despatch and tracking of technicians, managing orders, inventory management, vehicle tracking, and more. The specific benefits, however, depends on the industry and the enterprise. Just as it is the case with any business deploying field service agents or having operations spread over remote locations, CCTV and Security installation companies benefit greatly from a good field service management software (FSM). Security and CCTV business is a highly sensitive business. Any service request has to be responded almost immediately, and failure to do so runs the risk of costly mishaps. For instance, a CCTV system suffering downtime during the time of a burglary or any other incident is not just a major embarrassment, but also an invitation for criminal liabilities and possible fines, besides a loss of business. An effective FSM suite is updated in real-time, to eliminate overlapping and duplication of tasks, and to make sure the closest and the most-competent employees are assigned for the most urgent projects. 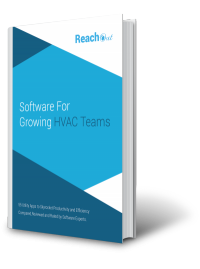 It co-opts powerful computing capabilities to automatically re-assign technicians for higher priority tasks as the need arise. Effective FSM software uses algorithms to offer predictive maintenance for CCTV cameras. When an unexpected downtime occurs, it tracks the closest mechanic on hand and ensures the problem is attended to in double-quick time. A truly smart FSM suite comes with reliable collaboration components that allow technicians to connect with another expert technician, or office to resolve doubts or trouble spots on-the-spot, without scheduling a revisit or extending the downtime. Likewise, the system uses automated scheduling to relive a tiring guard on duty and ensures efficient rotation of staffs. Conventional field service management relied on Excel sheets and paperwork for their scheduling and documentation tasks. The convoluted and messy process created drag, with technicians often spending more time filing reports rather than servicing clients, and ending up with costly errors as well. An FSM suite automates a bulk of these routine tasks. The suite captures much of the information automatically, do the necessary calculations in the back-end, generated automated reports, auto-populates report fields, and despatches the right report to the right personnel. An FSM suite ensures key stakeholders are fed the right alert or the right information at the right time. Customers get timely bills and status reports, managers and supervisors can get access to real-time status reports at will, employees get updates lists of to-do lists or clients to cover and more. Manual scheduling is adhocism at best and often resulted in wasted trips and fuel consumption. An automated FSM suite optimizes the route of service agents and security guards, ensuring optimal allocation of available resources, at the lowest costs. To put things in perspective, just one company, cargo major UPS uses 10 million gallons less fuel and emits 22,000 tonnes less carbon dioxide with the use of a GPS enabled FSM. Automated routine tasks and effective reporting also improves all-around enterprise efficiency and staff productivity, further cutting costs. In today’s age of cut-throat competition, where margins are small, the efficiency boost and cost savings enabled by FSM software may be critical to the very survival of the business. Customer Satisfaction is something no business can ignore in today’s highly competitive business environment. 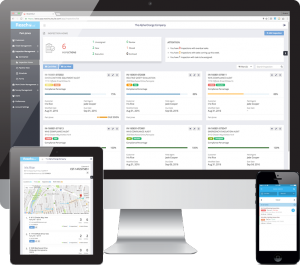 A security or CCTV company offering an Uber-like app, allowing customer’s real-time status on the movement of their service technician goes a long way in improving customer satisfaction. Security-related businesses could also offer real-time visibility to the site, by placing live IP based cameras linked to the Internet, allowing site owners visibility from any part of the world. Smart cameras, equipped with motion-detection capabilities, IoT and even Artificial Intelligence could send automated alerts and triggers to the security and the owner, with the FSM suite being the pivot through which such system runs and records the log. FSM software also promotes self-service. Today’s customers prefer self-service rather than waste time calling an agent and try and explain things to them. Chabot’s and AI-based tool allow customers to get the required information, or do basic service level tasks by themselves, with the FSM system doing the needed automatically. IoT sensors could identify when a CCTV camera is bound to fail, when the battery is running low, or even when a security guard is snoozing off, to issue timely alerts to the relevant stakeholders. FSM suite, by capturing all information and process in a centralized repository, helps the security company to streamline operations. Often, field service businesses involve a lot of adhocism and a personal rapport between the field service personnel and clients. Situations such as departing employee taking away the client are all-too-commonplace. Even otherwise, a new, unfamiliar employee may not be able to offer the same level of service as the previous employee, who had developed a rapport with the client. An FSM suite, by documenting the engagement in detail, ensures all services, including customized system, is properly recorded, and fallouts are minimized to a great extent. Security and CCTV installation companies may leverage FSM software as a valuable tool to derive competitive advantage. 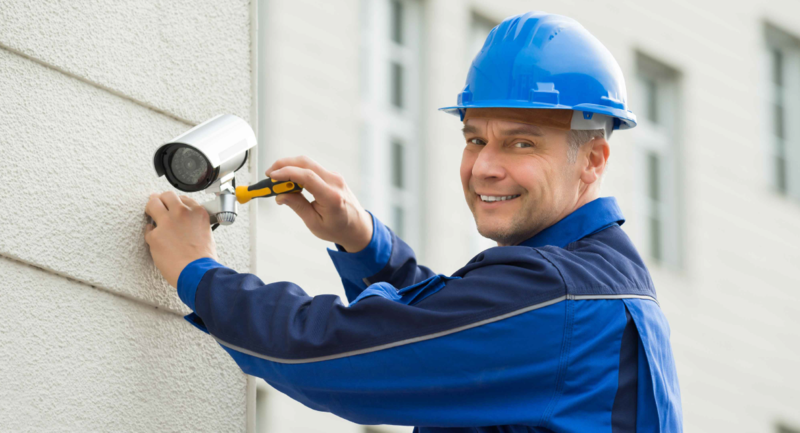 While all field-service industries would find an FSM suite handy, the stakes are higher in security and CCTV installation business considering the hypocritical nature of these tasks, and the deep direct connection of such tasks with the safety of customers.